Paternity Testing – is it better to know? 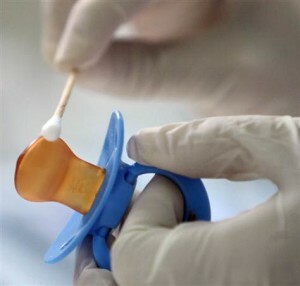 Paternity testing has long been perceived as upsetting, even traumatising or embittering– but as the technology becomes increasingly available in Australia, there may be real benefits to getting tested. It has been claimed that as many as 30 percent of men mistakenly believe a child they are supporting is their biological offspring. This type of situation is sometimes referred to as “paternity fraud” – which implies that the mother is aware of the identity of the child’s “real”, biological father, and that the man is a victim of a deliberate deception. In some cases, the aggrieved man has successfully taken the mother to court and claimed financial compensation for the deception. In 2001 Liam Magill successfully sued his ex-wife after paternity testing confirmed that he was not the biological father of two of the three children she had borne during their marriage. The court ordered her to pay $70,000 to compensate him for the economic burden of supporting the two children and for the depression and anxiety he had suffered. Although the decision to award compensation in the Magill case was finally overturned by the High Court in 2006, there have since been other reports of similar successes in court. For example, News.com.au has reported that in 2011 a woman was ordered to pay $13,000 after a paternity test showed her ex-husband was not the father of her son. Despite reports such as these, however, claims that paternity fraud is widespread seem mostly unfounded. Professor Michael Gilding of the Swinburne University of Technology’s Institute for Social Research estimates that paternity is mis-attributed only in 1-3 percent of births. Even so, it is often the mother who is unsure of the child’s paternity and who has requested testing, especially if the child was conceived during an unstable or disrupted period in a relationship. Furthermore, Andrea Hayward, director of DNA QLD, says that in every five paternity tests they carry out in their facility, four have confirmed that there has been no mistake as to paternity. But where there may be cause for doubt or concern, testing can bring certainty and relief to many families. Equally however, the results of a paternity test have the potential to be used to create further acrimony between parents who other other children in common. Positive proof of mis-attributed paternity with one child may hurt future cooperation between the parents, especially in relation to their other children. In that light, paternity testing is a controversial test that on the one hand is seen as being detrimental to the child, especially if mis-appropriated paternity is confirmed, but on the other hand is seen as a natural right of both the child and the father, to know the biological truth that underlies their family bond.